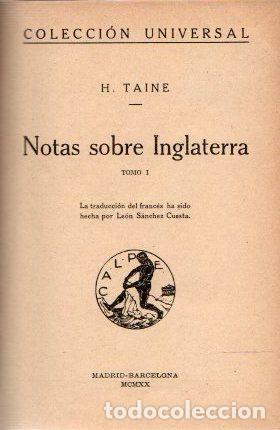 Notas sobre Inglaterra I y II - Taine, H.
NOTAS SOBRE INGLATERRA. - TAINE, H.
TAINE, H. - NOTAS SOBRE INGLATERRA. Hora oficial TC: 20:43:16 TR: 144 ms.